As the end of 2013 draws near, a question that many fans and experts alike will have going into 2014 is what may happen to the Heavyweight division? The question has gained more prominence due in large part to the recent announcement that WBC Heavyweight world champion Vitali Klitschko has relinquished his portion of the World Heavyweight Championship and has been named champion emeritus by the World Boxing Council (WBC). Most probably saw this as a formality as it has been common knowledge to many fans that Vitali Klitschko has had his sights set on running for the presidency of Ukraine for some time. In short, Klitschko’s “Emeritus” status basically gives him the right to challenge the WBC world champion in the Heavyweight division if at some point in the future he opts to resume what has been a stellar career. Klitschko’s decision to relinquish his title however, has for the time being, broken at least in part the dominance of what this observer has often called “The Two-Headed Heavyweight Championship Monster” known as the Klitschko brothers. For the first time since Vitali regained the WBC championship in 2008 by stopping Sam Peter, the World Heavyweight Championship will not be exclusively controlled by the Klitschko brothers. An interesting question however, will be who will step in and fill the vacancy of the WBC championship. The WBC has announced that it has ordered immediate open negotiations for a rematch to take place between it’s two top contenders Bermane Stiverne and Chris Arreola to determine a new WBC champion in the Heavyweight division. When Stiverne and Arreola met in April of this year, it was Stiverne who outworked Arreola in route to winning a twelve round unanimous decision. Some might argue that Stiverne defeated Arreola in convincing fashion and would question why a rematch would be warranted. For purposes of the subject of the WBC championship, Stiverne and Arreola are ranked number one and two respectfully in the WBC’s Heavyweight ratings. Although the purpose of the encounter between the two earlier this year was to determine a mandatory challenger for Vitali Klitschko, despite what some may feel was a convincing win for Stiverne, circumstances have now changed. It is also important to remember that despite the loss to Stiverne, Chris Arreola is still a legitimate contender and has been a top contender in the Heavyweight division for several years. Arreola rebounded from the loss in September by scoring a first round knockout over Seth Mitchell in devastating fashion. Arreola deserves an opportunity to not only see if he can avenge his loss to Stiverne, but also fight for the WBC world championship for the second time in his career after previously coming up short against Vitali Klitschko in September of 2009. At least in the short-term this would seem to answer the question of who will be in position to fill the vacancy of the WBC Heavyweight world championship. On a wider scale however, a more compelling question might be what will happen in the long-term future of the Heavyweight division? It is logical for one to assume that whomever should emerge as WBC champion that it will set in motion an inevitable collision course with unified IBF/WBO/WBA/IBO world champion Wladimir Klitschko, the man who now should be viewed as the number one fighter in the division now that his brother has for the moment put his Boxing career on hold. Although there are many who do not fully appreciate the magnitude of both brothers’ skills and dominance in their era atop the division, the statistics don’t lie. Both have had multiple reigns as Heavyweight champion, both have had reigns that stretched out over significant periods of time. In their most recent reigns, Vitali was able to successfully defend his title nine times while Wladimir has thus far made fifteen successful defenses of his title. In regard to Wladimir he is approaching joining an exclusive group. Only two men have had more successful defenses in their respective reigns as Heavyweight champion, Larry Holmes who had twenty successful title defenses and Joe Louis who had twenty-five successful defenses. As Wladimir continues to defend his title it is only natural that his name will be brought up more and more in association with both Holmes and Louis. It goes without saying however, that the Klitschko era of the Heavyweight division will conclude one day. Most are probably of the opinion that like Vitali, Wladimir will likely retire on top as champion. Although it is hard to argue against such an opinion based on each of their dominance as champions, there is the possibility that someone might come along who may be able to dethrone Wladimir. Wladimir is thirty-seven years old and Vitali is forty-two years old. One thing all boxers must face at some point regardless of how successful and dominant they might be in addition to facing opponents standing across the ring from them is facing an opponent that most have not been able to beat, father time. There have been exceptions that have beaten the odds, examples being George Foreman who regained the Heavyweight championship at age forty-five and current IBF Light-Heavyweight world champion Bernard Hopkins who is still at the top of his game as he nears his forty-ninth birthday. Wladimir Klitschko could well be another exception. Despite some early setbacks in his career, he has established himself along with his brother as an all-time great and since regaining a portion of the World Heavyweight Championship in 2006 and successfully unifying it no one has come close to defeating him. 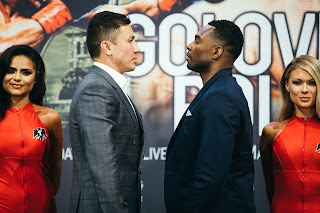 Although it is logical to assume an eventual showdown between Wladimir and whomever should emerge as WBC champion to determine an “Undisputed” World Heavyweight champion, there are other fighters waiting in the wings. In terms of the immediate future, Wladimir has two mandatory defenses of his unified title in his sights of his IBF and WBO crowns against undefeated IBF number one contender Kubrat Pulev, with the winner of that fight to presumably face WBO number one contender Alex Leapai. As of this writing there is no scheduled date for a fight between Klitschko and Pulev, nor is there a mandatory challenger in the WBA’s Heavyweight ratings after Klitschko successfully defeated longtime WBA mandatory challenger Alexander Povetkin in October. Along with Pulev and Leapai there are other contenders who will likely look to challenge the winner of the WBC championship fight between Stiverne and Arreola in hopes of eventually facing Klitschko. A fighter such as the undefeated Deontay Wilder would likely be considered a front-runner to challenge the winner in their first title defense. There are also fighters such as Bryant Jennings, Tyson Fury, Dereck Chisora, Tomasz Adamek, and Mike Perez just to name a few who are also very much in the mix and could find themselves in position to fight either the WBC champion or Wladimir Klitschko at some point. Whether or not 2014 will be known as the year that one “Undisputed” champion with all world titles available in the Heavyweight division finally emerges remains to be seen. This observer however, believes it is more likely considering the potential for injuries, postponements, and the political elements of the sport that 2014 might be the year that lays the groundwork toward an “Undisputed” champion. For a division that has been labeled by many to be “boring” in recent years, the Heavyweight division just might be approaching it’s reemergence as a major focal point of the sport. Is that day near? We will have to wait and see, but one thing is certain, it will surely be interesting to see how the current landscape of the division plays out.